Tara Arnold is a psychotherapist with a private practice treating mental health and substance abuse concerns. In her practice, Tara focuses on individuals, couples, families, and groups. Tara enjoys working with men and women from late adolescence into adulthood. Dr Arnold strengths are with women’s issues, eating disorders, anxiety, depression, and substance abuse. Dr. Arnold specializes in treating all eating disorders, with particular focus on women in late adolescence and early adulthood with anorexia. Tara believes in a team approach to mental health and values collaboration with past and present treatment providers to provide the most thorough and effective treatment to consumers. Dr Arnold’s treatment philosophy incorporates a holistic approach connecting mind, body, and spirit. She educates people on understanding their emotions in connection with their thoughts, physical manifestations, and behavioral urges. Through mindfulness and inward attention, people learn to be masters of their internal world fully utilizing their personal power by defining intentions and acting in their best interests. Tara focuses on cognitive behavioral and dialectical behavior therapy techniques in her practice, and she adapts other relevant therapy techniques to fit consumer needs. Dr Arnold also believes in the benefits of exercise and offers movement and exercise therapy to interested and appropriate clients. Tara Arnold believes that everyone can change, and the first step to change is awareness. She helps clients to identify strengths and skill deficits in order to focus on solutions to life and relationship challenges. Tara Arnold received her MSW in 2000 and her Ph.D. in 2003 both from the University of Georgia. Tara started her mental health career at Ridgeview Institute in the women’s center in 1997. She continued to practice focusing on adult mental health and substance abuse with a special interest in eating disorders. Dr. Arnold received her LCSW in 2003, and she has worked in various highly respected mental health facilities such as; Ridgeview Institute, Skyland Trail, St Jude’s Recovery Center, and Charter Winds. She has been in private practice since 2003. Tara is currently an active member of GSCSW, leading the monthly mentor-ship group for new social workers and has been the Ethics Co-Chair person in years past. She has been active on the board of the National Association of Social Workers as the Athens Unit Chairperson, Executive Committee member, Member at Large, and the Membership Committee Chairperson. Dr. Arnold is also intensively trained in Dialectical Behavioral Therapy, and teaches workshops and trains therapists on the use of DBT. In addition, Dr. Arnold is a Certified Eating Disorder Specialist and current member of IAEDP (International Association of Eating Disorder Professionals). For more information on Tara's background and clinical research, please download her curriculum vitae. In 2015, Tara partnered with a colleague to bring about Creative Health Initiatives (Chi). 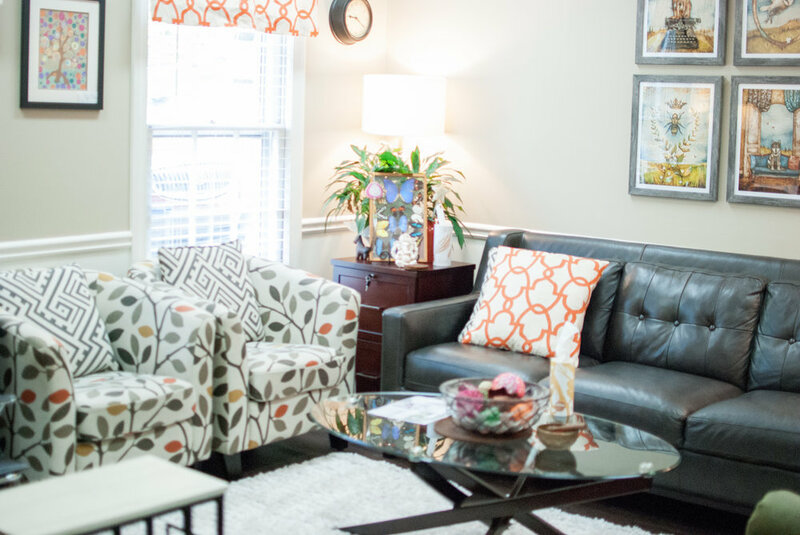 Chi is an outpatient counseling program located within Whole Heart Psychotherapy Institute, that provides outpatient groups to women who are in recovery from disordered eating and addictions, as well as women working on improving self esteem and social confidence. Chi values existing as a boutique-style, locally-owned center to give clients an intimate, individualized treatment experience. The mission at Chi is to provide high quality, personalized care to our clients through group therapy, workshops, and self growth programs. For more information, please visit the website at www.creativehealthinitiatives.com.